Hello, hello, friends! This may be the first time I have asked something of you; I need your advice! On a whim my husband and I decided to sell our living room area rug in favor of something a bit edgier. The soft pastel, floral, Persian wool rug we've had since we moved in was a great find early on when we needed something to cover the wood floor for our crawling babies. Style was not as great a concern as price and size. We have an idea of what we'd like to replace our old rug, but I'd love to hear your opinions! 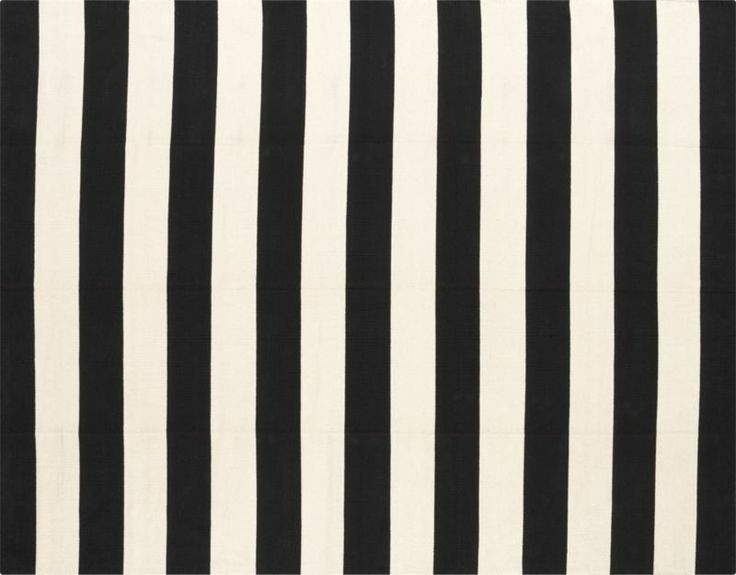 The Lappljung Ruta rug, (below), from Ikea is our first choice at the moment. This post was originally published under Chelsea's Garage, now affectionately known as StyleMutt. 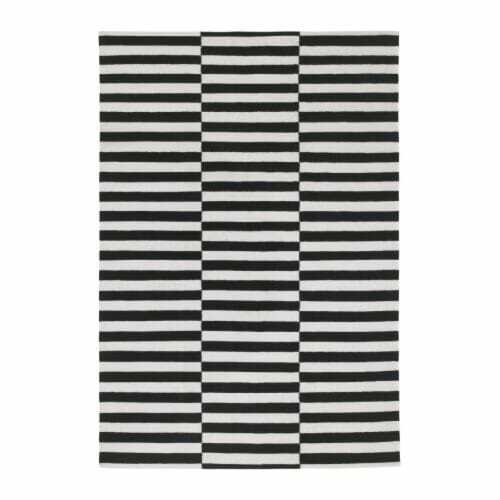 In "Crate and Barrel Olin rug", "Lappljung Ruta rug", "Stockholm rug", "black and white rug options", "decorating with black and white rug", "edgy area rugs", "living room with black and white rug"